Another appointment under the belt! Today my mom and I drove to the University of Michigan to meet with the transcatheter surgeon, to determine if this would be a possible route for me to have surgery (via the groin). After going over my history, it was determined that this is not a possible route, due to the fact that my valve needs too much work done to it, but that a repair is the route they hope to proceed with, which I could not be more thrilled with, since we thought a replacement was inevitable. Open heart surgery is a for sure, but I could not be more thankful, believe it or not! Truthfully speaking, I did not think a repair was even an option, due to the issues I have with my valve, with regurgitation and prolapse. After speaking with the transcatheter surgeon, he is pretty confident it will just be a repair, with various fixes needed, but it will be a LONG TERM fix, instead of having to replace my whole valve. That means no deciding what type of valve to insert, a pig’s or mechanical. No need to decide if I want to be on coumadin the rest of my life. No thoughts of needing surgery every 10-15 years at this point. I could have jumped out of my chair with excitement. Of course open heart surgery isn’t on anyone’s bucket list, but if that means I will not need another for many MANY years to come, it is well worth the recovery in my mind. Even if a repair would last me 20 years, I would rather have a longer recovery with a longer fix, than a shorter recovery period with more surgeries in my future. He said that with my age and health, because both are in my favor, repairing the valve in multiple ways will not only prolong my own valve (the goal is to always keep your own tissue first), but also lessen the possibility of needing another surgery in the future. Of course they cannot guarantee that, but he said if you hit 70 or 80 and it starts to go, well then we can talk doing the transcatheter route (which would be the route I’d want at 70 or 80 anyways!) But if someone told me I could have more of a permanent fix with open heart surgery, SIGN ME UP TODAY! Did I mention I could have jumped out of my chair in excitement, again? We knew that my doctor in Minnesota knew who would be best to go to, but little did we know it would mean an open heart surgery with one of the BEST mitral valve repair surgeons in the country, and only needing to drive 2 1/4 hours to get there. I feel I am in the best human hands I could possibly be in, and then couple that, all the more, with being in THE best Hands of ALL, God’s hands, this sure was a confidence booster. I will have to have one more procedure done, a heart catherization done on July 24, to check the pressures my heart is putting on my lungs and some other intricate details of my heart, but after that, a surgery date will be set. All that to say, the peace of God is overwhelming me today. Last night, I went to bed thinking okay, tomorrow I will find out what type of surgery I will need most likely. Then I thought, am I ready to know? What if they say open heart again? And by the grace of God, I felt at complete peace either way. All I want is for God to be glorified and for His name to be made known in and through our lives. If that means that His purposes and His name will be more glorified through an open heart surgery, then that’s what I want. If open heart surgery means more faith required, well then sign me up. Not saying it’s going to be easy, in fact I’m sure many tears will be involved after the process, but it’ll only make me stronger. If open heart surgery means not being able to hold my sweet Mazy for just a little longer, but to hold her longer, in the long run, sign me up. 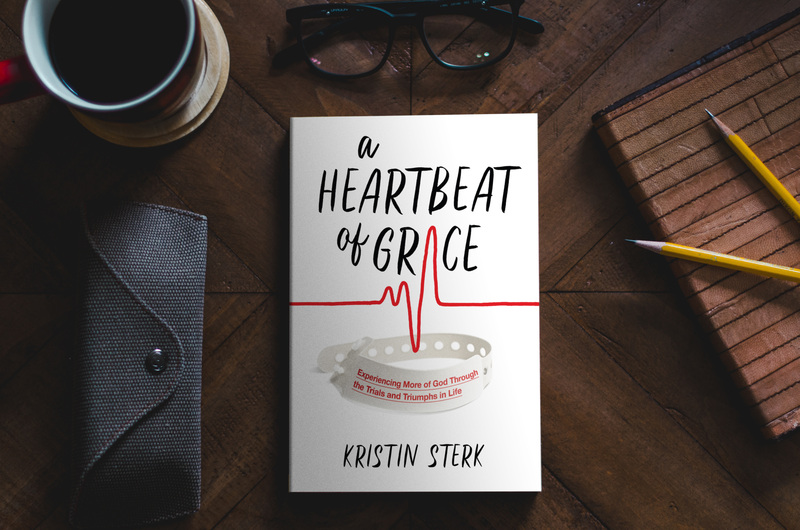 If open heart surgery means a healthier Kristin for the long haul, sign me up. When the surgeon started talking about me being able to live a normal life and do what a 33 year old should be doing, I think I had a smile from ear to ear. That is music to my ears. When you know the life you are living isn’t what it is supposed to be, you can’t help but dream and want for things to look differently, even if that means a little bit of a tougher road of getting there. I told my mom in the car that maybe the week before the surgery I might finally cave and say I don’t want open heart surgery, but right now, God sure has wowed us with the care He has put us in at the University. We could not be more confident in the plan that lies ahead. All thanks to our sovereign God who cares about every little detail. Who puts in our place, specific people, every day, to carry out His perfect plan. Thanks for the update, Kristin. We will keep praying for you. So glad you can go to University of Michigan. God is good. Also so nice that you are now closer to family who can pitch in and help. God has it all under control. Say hello to your folks, too. Really wonderful people.